However, the end of free support doesn't end Windows 7 support for big business and enterprise customers. As always, Microsoft does make exceptions for certain companies that are willing to pay a lot of money to continue their support. 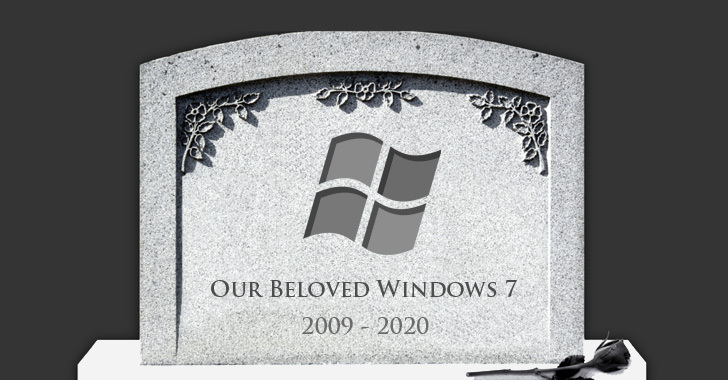 According to a 'Death of Windows 7' report from content delivery firm Kollective, as many as 43% of enterprises are still running the nine-year-old operating system, of which 17% didn't know when Microsoft's end of support deadline hit. Windows 7 was released in 2009 and, according to December 2018 stats from Netmarketshare, is currently running on about 37 percent of the world's PC fleet, which is far ahead of its radically redesigned successor Windows 8 and 8.1 combined. Microsoft stopped the mainstream support for Windows 7 in January 2015, but Windows users have continued to receive security updates and patches for known security issues as part of the company's extended support, which runs for at least five years. "For Windows 7 to run on any modern silicon, device drivers and firmware need to emulate Windows 7's expectations for interrupt processing, bus support, and power states- which is challenging for WiFi, graphics, security, and more," the company said. "The lifecycle begins when a product is released and ends when it’s no longer supported. Knowing key dates in this lifecycle helps you make informed decisions about when to update, upgrade or make other changes to your software." As for Windows 8, the operating system's extended support is set to end on January 10, 2023.